French III students thrive through their pen pals from France. Parlez-vous francais? Now there’s a chance to learn French and get a real feel for the language. 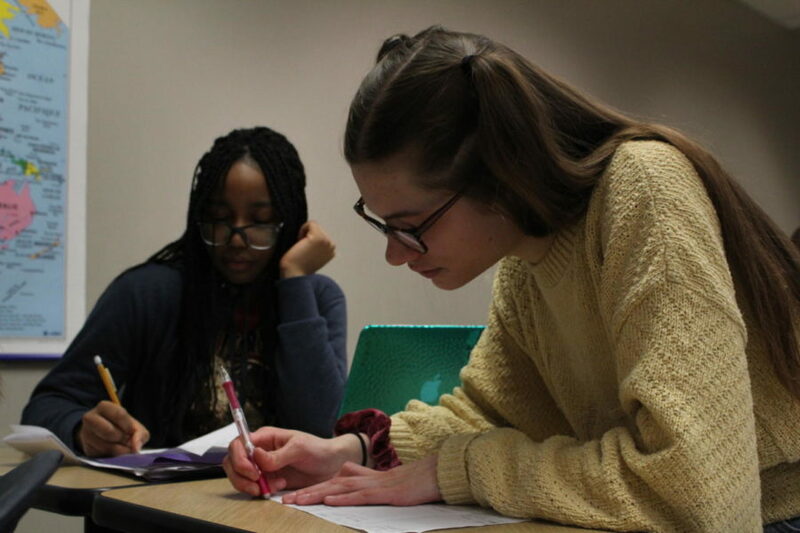 At the beginning of the year, French teacher Jessica Lumetta was given the chance to have pen pals in these upper French level classes. Principal April Adams came to Lumetta with the idea before the school year even started. Adams was contacted by a French teacher who went to school in Kearney when she was in high school, but now lives in France. After Lumetta got into contact with the teacher from France, the students started to do activities with their pen pals. In this process, the French students have gotten involved by sharing popular traditions in America, including Thanksgiving and Homecoming. The French pen pals also have shared about themselves. Each student got to know their pen pal by looking at pictures and trying to guess who they were through their voices. Learning about their pen pals has also helped them comprehend more about the language and what everyday life in France is like. When the students know someone who speaks the language, they can see how it is actually used. Having a counterpart in France who corrects their French has also let the students see no language is perfect, and learning one can have its difficulties, whether its French or English. While the students have learned quite a bit from their pen pals, most of them will admit they want a stronger relationship with their pen pals. Some of them will contact each other apart from their pen pal projects. Lumetta has also seen a change in her student’s learning through the new pen pal system. She notices how well they pick up the language when they have someone to discuss it with.